MG-3U Instructional Videos are here! - Merrow Sewing Machine Co. The first in a series of videos focused on the MG-3U, the MG-3U Installation Video gives step-by-step instruction on the proper way to mount your MG-3U to a standard sewing table. 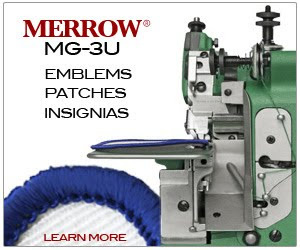 Check out the Merrow MG-3U Emblem Edge Machine playlist for more videos, including thread stand assembly. I'll be updating the videos each week - look for the MG-3U threading video the week of March 11. Be sure to leave feedback at our MG-3U Google+ Community where you'll also find the videos!